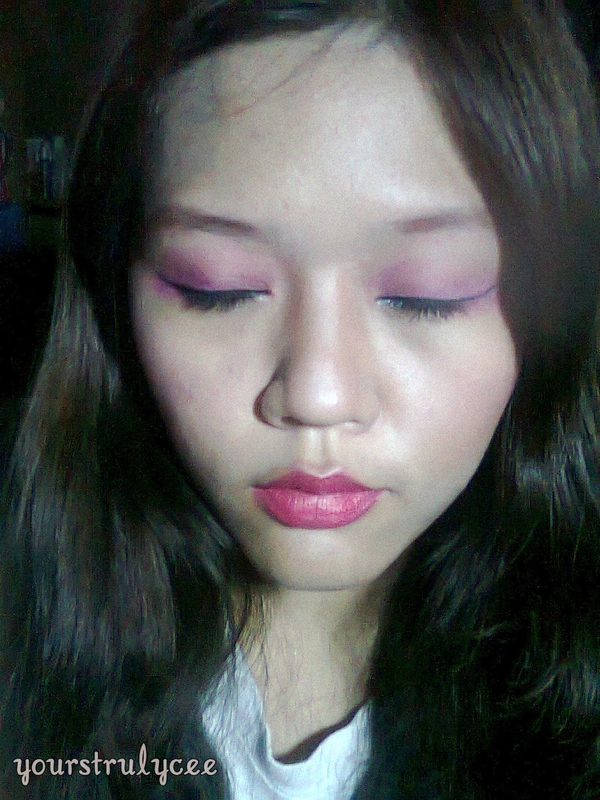 Here's my first try on doing a real makeup post. 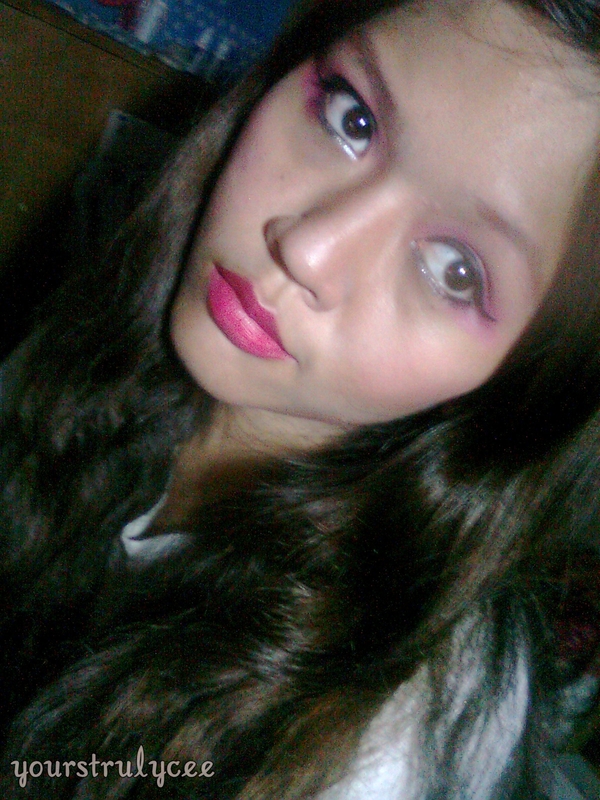 I know that I am still a novice when it comes to real makeup but how can I learn if I won't start doing it, right? 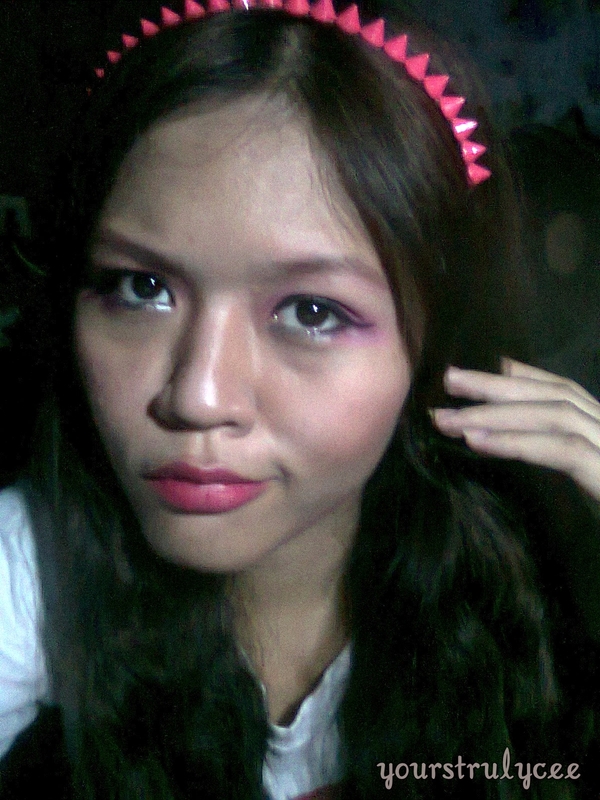 So I tried rummaging my makeup collection and tried on a Luka Megurine-inspired makeup. I used BB cream, make-up base foundation, pressed powder, two tones of pink eyeshadow, dip liner, brown and pink blush and a matte lip cream. This photo made me realize that I do have really short lashes! I think I still need to work out on the eyes - the eyeshadow, liner and mascara. Maybe I'll apply fake lashes next time.